During these last months we have been preparing for new pop up stores and design fairs. 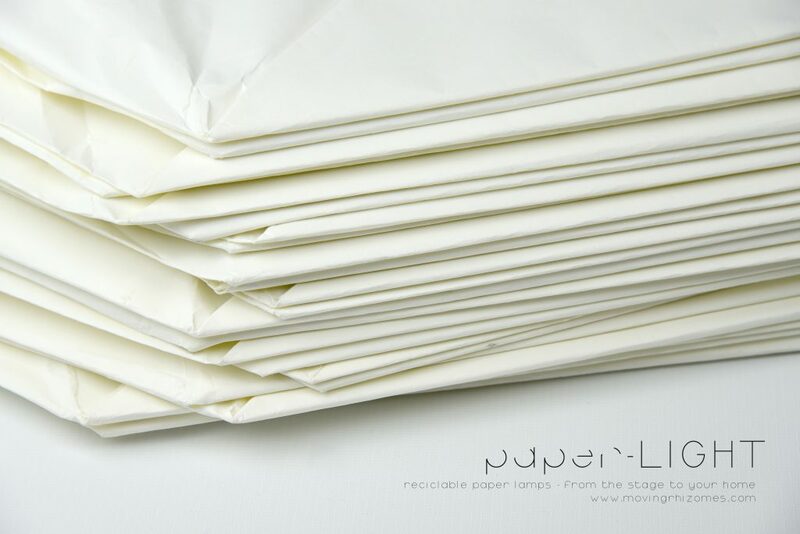 Here Paper LIGHT, a lamp made from the paper left from our last performance, BEFORE I DIE. This lamp can take any form. We will give you some hints and ideas, but we are sure you will find a brand new personality. 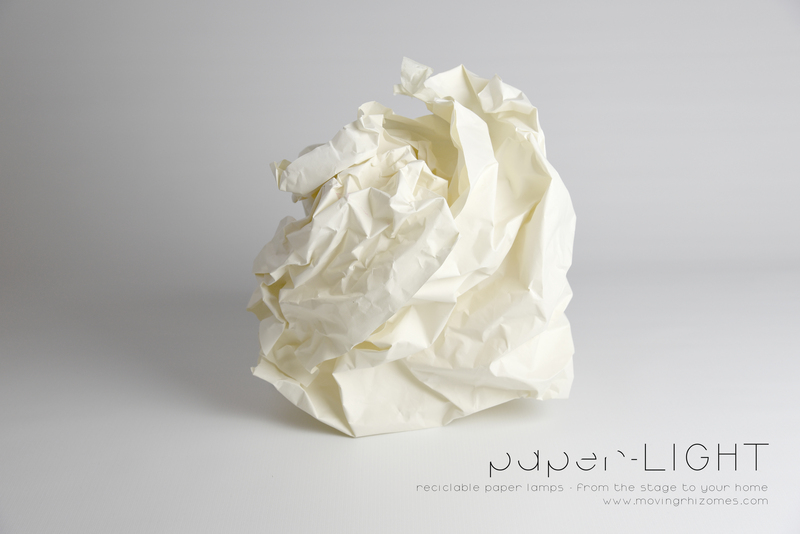 We are proud of this lamp because this is part of our 0 waste campaign. We are slowly recycling every piece of paper we used and hope we will reach our goal this 2017. 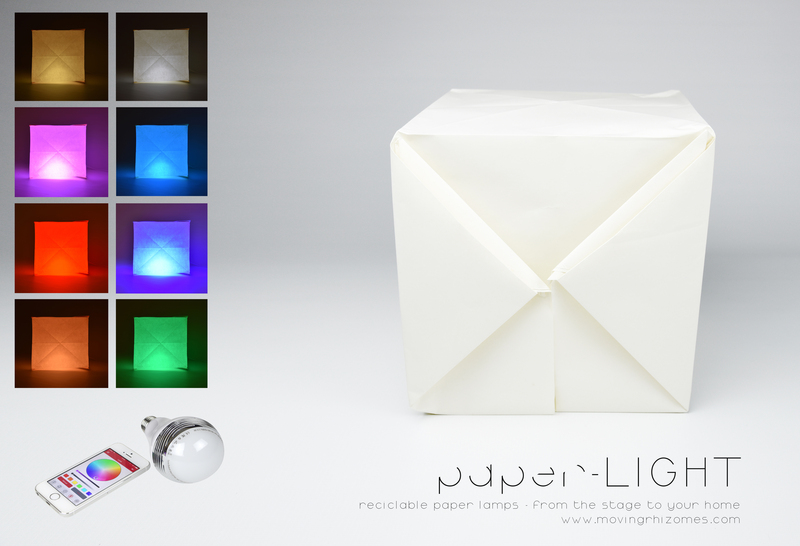 With the lamp you will receive a low consumption bulb and all the elements to switch your lamp on. We also give you the option of buying special bulbs that you can put music on while changing its colour. We will sell them in pop up stores and soon also available online. The next place where you will find us is UnUsual design fair.